1,157 people read this post. 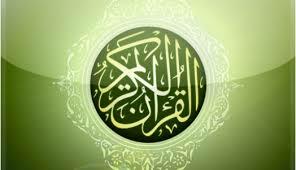 Its name is indeed telling, for the word Qur’an, in Arabic, literally means a ‘recital’ or ‘that which is recited’. To this end the Qur’an is possibly the most read or recited book in the world. It is certainly the world’s most memorised book, and is probably the one that exerts the most influence over its readers. It is a book that has caused countless people throughout history to accept its message upon reading it, or hearing its recital. It has moved hearts to tears, healed spiritual wounds, incapacitated opponents, and astounded academics and artisans alike. The essence of its message is that there is only one God: Allah, who created and sustains the material universe and the world of human experience, and that only He is to be deified and worshiped. 2. Ibn Hisham, Sirah, 1:185, its chain is sound (hasan). Cf. Muhammad al-Ghazali, Fiqh al-Sirah, ed. al-Albani (Cairo: Dar al-Kutub al-Hadithah, 1976), 113. 3. Cited in Shalabi, Islam: Religion of Life (USA: Starlatch Press, 2001), 25-6. Next How Does The Global War On Terror Ever End?